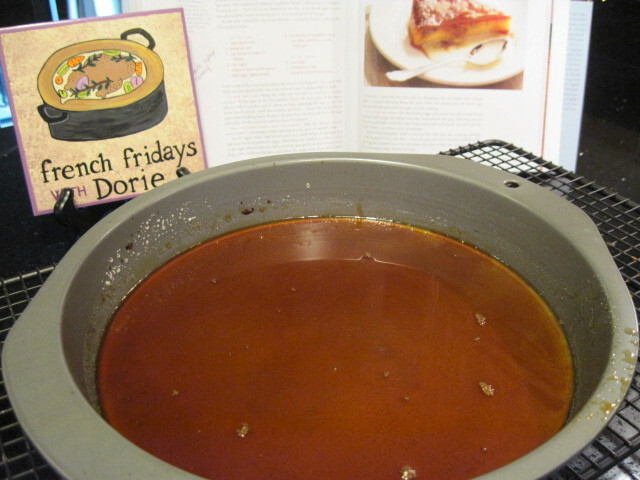 I was anxious to try this recipe (as I am with all of Dorie’s) but I must say, this one was not one of my favorites. I was intrigued by the combination of cream of wheat (farina) and caramel. How in the world, I wondered, would these two things come together in a cake? I assembled all of my ingredients and even thought to add a few ingredients that I figured would compliment the flavors in the original recipe nicely. My own additions were some fresh grated nutmeg and a tablespoon of maple syrup (not pictured). I suppose those additions could have been what ruined the recipe for me. 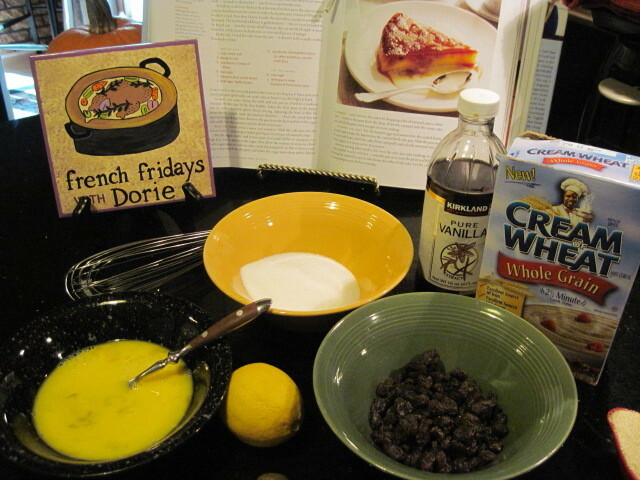 Or possibly it was the fact that I used whole grain cream of wheat in order to bump up the health benefits or maybe (but I doubt it) it was that fact that I used dark raisins instead of the golden ones. *shrugs* Who knows? Actually, I think I do know what went wrong. When I was making the caramel syrup, I believe I took it just a little too far in the deep amber color department and instead of making delicious caramel, I made burned sugar syrup 🙁 Boo. My bad. The cake also took a lot longer to cook than what the recipe called for. I believe I used a 9 inch round cake pan as opposed to an 8 inch pan that the recipe called for but that should have made the cook time shorter, and not longer. In any case, I wasn’t all that thrilled with the texture of the cake so it wasn’t just about my burned sugar topping, but that certainly didn’t help. Oh well, better luck next time and it was still a good time in the kitchen and to me, that’s what it is all about! 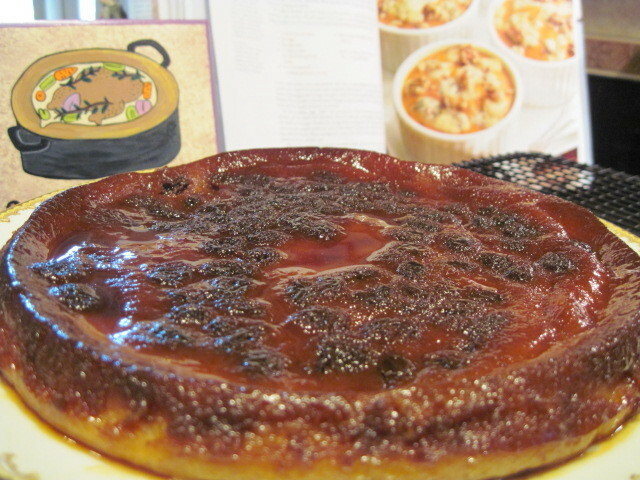 Next week I’ll be posting the Pumpkin Gorgonzola Flans. Come back to check on me and see how I do with that one, won’t you? Well, it looks good, at least. Nice and moist and caramel-y. Sugar can be so frustrating! I made caramel corn last weekend and I took my sugar a tiny bit too far and gave that "oh-so-yummy" burned flavor. Just a few extra seconds makes all the difference. I am looking forward to the flans! It looks great! Sorry it wasn't your cup of tea. . . I've had trouble with caramel too. Sorry that you weren't happy with how this cake turned out but I think it's great that you did the post. Happy or sad, good or bad, I look forward to all your posts. Oh that's too bad. At least there are so many other recipes in that book to make up for this one! It looks lovely though! 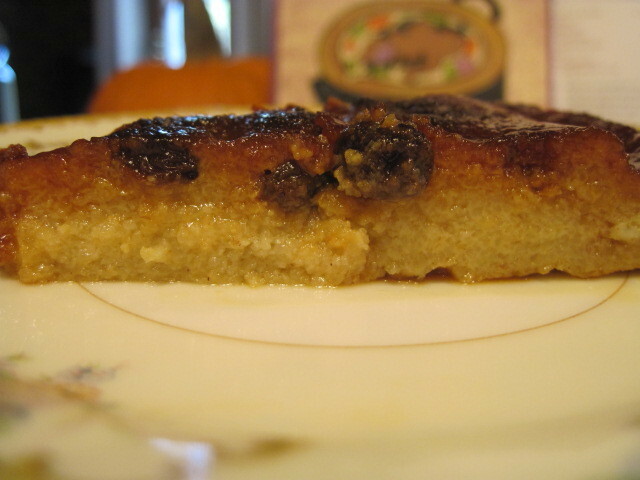 I love anything with Semolina Flour and with caramel just put this over the top. Your cake sounds DE-licious!